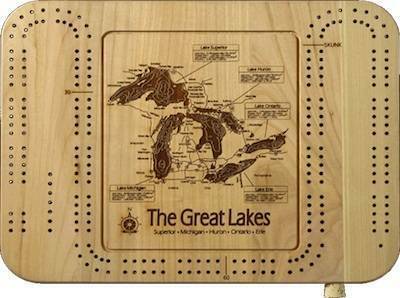 Our 2 player cribbage board is laser-etched with a topographic representation of one of over 4,000 available lakes, including area roads and water details. Keep the crew happy while they wait out the weather...or wait on the straggler to get ready for a day on the boat! 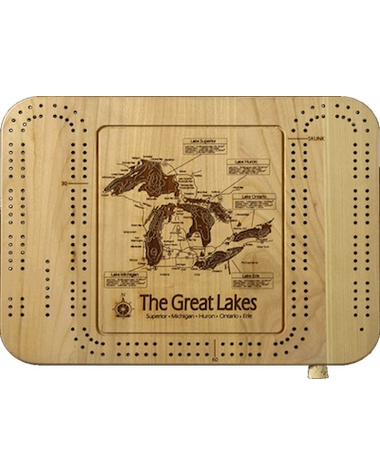 Board comes complete with pegs, which are stored in a compartment on the side of the board.